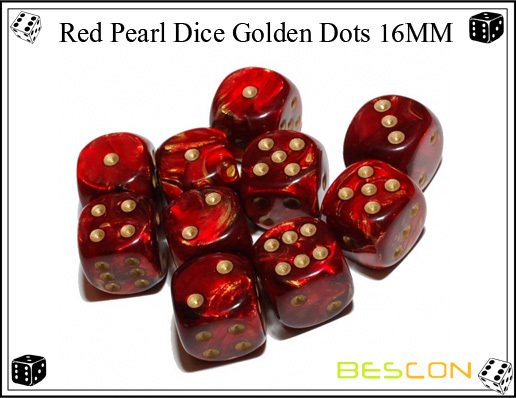 Product categories of Pearlized Dice, we are specialized manufacturers from China, Pearlized Dice Set, Hybrid Pearlized Dice suppliers/factory, wholesale high-quality products of Plastic Pearlized Dice R & D and manufacturing, we have the perfect after-sales service and technical support. Look forward to your cooperation! Pearlized Dice means the Dice has a pearlized sheen, which makes them look awesome. Together with the pearlized effect we combine in different color options like silver, golden, and any other custom colors.They work great and look great with any board game or role-playing game.